The Hardware Synths market is always expanding. Let’s look at some popular new examples that take a slightly different approach. Choosing hardware synths that suit the way you make music can be tough, especially considering there are so many weird and wonderful options on the market. 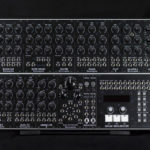 Let’s look at some hardware synths that stood out of the crowd for various reasons. 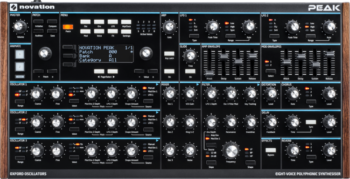 The New Novation Peak is a desktop synthesizer with absolutely HUGE sonic potential, at its heart it’s an eight-voice with extreme modulation capabilities and deep integrated effects. Lately, there has been a massive push towards simpler analog synthesizers, Novation Peak proudly departs for good reason. Each of the eight voices features three super-stable Oxford oscillators, capable of four analog-modelled and 17 unique digital waveshapes. The core oscillators themselves are digital, however each of the eight voices runs through an analog multimode filter with the choice of pre or post distortion, the result is stable and complex waveforms with the warmth of analog filters and polyphonic capabilities. 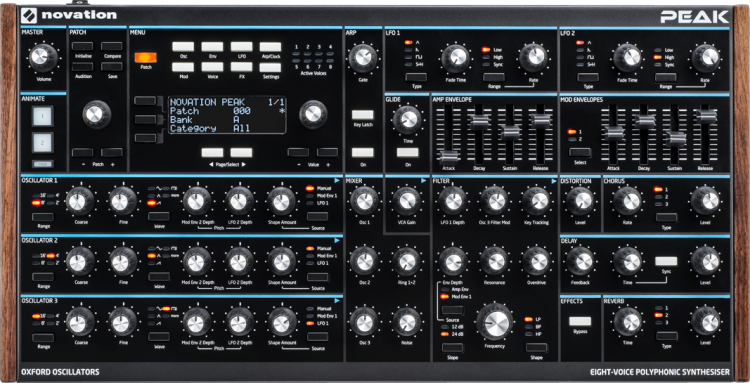 The Novation Peak has an extremely deep modulation matrix with 16 assignable slots, a wide variety of built-in effects, an advanced arpeggiator and a variety of modulation inputs through CV, MIDI or USB on the rear. External Audio Input would have been a huge selling point, the filters and effects in the Peak sound phenomenal, so would have been nice to apply them to other sources. The Synthstrom Deluge is an incredibly capable all-in-one electronic music production workstation, it has a huge focus on Groovebox style workflow with features you would expect to see in a DAW. 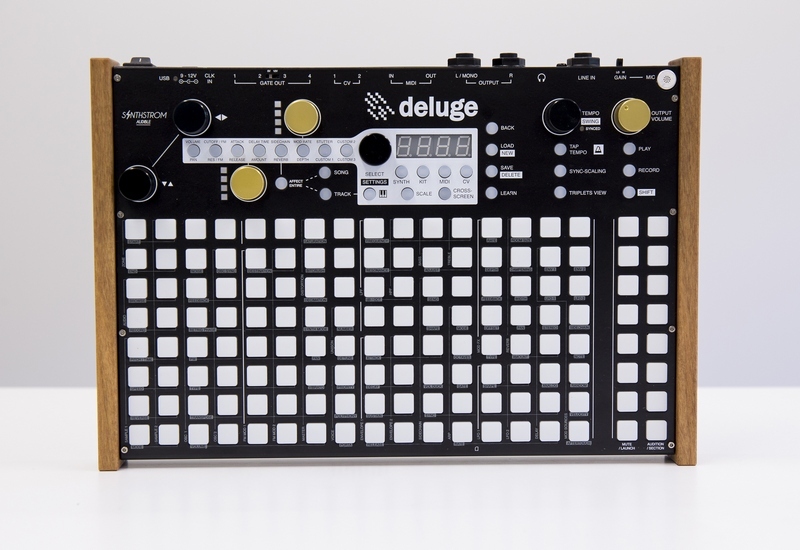 The Synthstrom Deluge houses a 64 voice fully-features synthesizer engine, capable of both Subtractive and FM synthesis. The unique pad-style interface morphs to the mode you’re in, if you’re in Keyboard mode you can display only notes in a certain scale, or the entire chromatic range. You can switch presets, complex modulation matrix control and even clip launching via the pads. You even have access to a piano-roll style sequencer, all with intuitive colour-mapping to help you browse the vast engine fluidly. The Synthstrom Deluge can record automation for its internal parameters, it has a wide variety of internal effects from delays and reverbs to live-stutter effects. The unit has multiple CV/Gate outputs to integrate with a modular system and MIDI/USB I/O for integrating into a DAW or traditional synth setup. Synthstrom Deluge’s internal sequencer has some pretty advanced features such as varying probability control and non-standard time signatures. 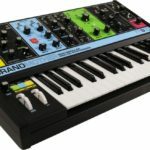 The Moog Grandmother is a semi-modular analog synth with a full keyboard and a variety of nifty features. This is a great option for traditional synth/keyboard players looking at getting into the world of modular synthesizers as it’s a complete system with the capabilities of expanding and creating your own weird and wonderful patches. 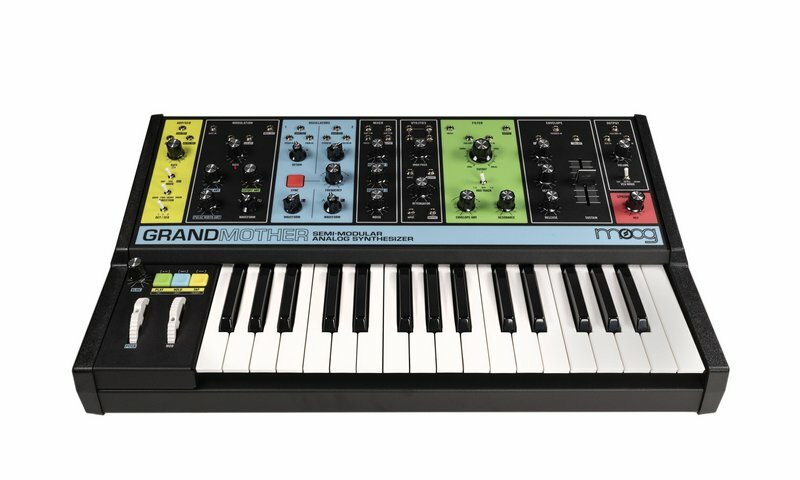 The Moog Grandmother features a built-in spring reverb that can process external sound, alongside the variety of MIDI/CV I/O and features like the legendary Moog filter and integrated modular mult (A very handy device for multiplying signals in the modular world) make it a great first step into modular or a nice addition to an existing setup. The Moog Grandmother has 41 patch points, a flexible arpeggiator and sequencer and even an analog LFO that’s capable of putting out audible frequencies. The Make Noise 0-COAST or “No-Coast” is designed to bring together the worlds of east-coast and west-coast synthesis. East-coast refers to brands like Moog who’s core focus while creating synths was musical efficiency and appealing to traditional musicians. 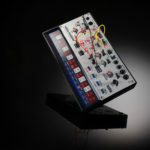 On the other hand, West-coast synthesis refers to brands such as Buchla who’s focus was far out of the norm, using non-musical keyboard inputs and manipulating waveforms in unique ways. The Make Noise 0-COAST features concepts from both schools of synthesis, the best of both worlds, if you will. 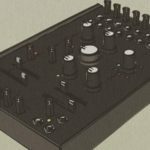 The Make Noise 0-COAST is a completely unique take on sound-design, the chances are it will push you to create sounds you’ve never made before. The Buchla 292-style Low Pass Gate and the unique Slope circuit are absolute winners, and the integrated random step generator is perfect for creating patches that evolve on their own. 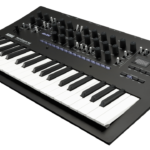 It has a built-in MIDI-CV converter, a variety of modulation inputs for almost all of the on-board parameters. 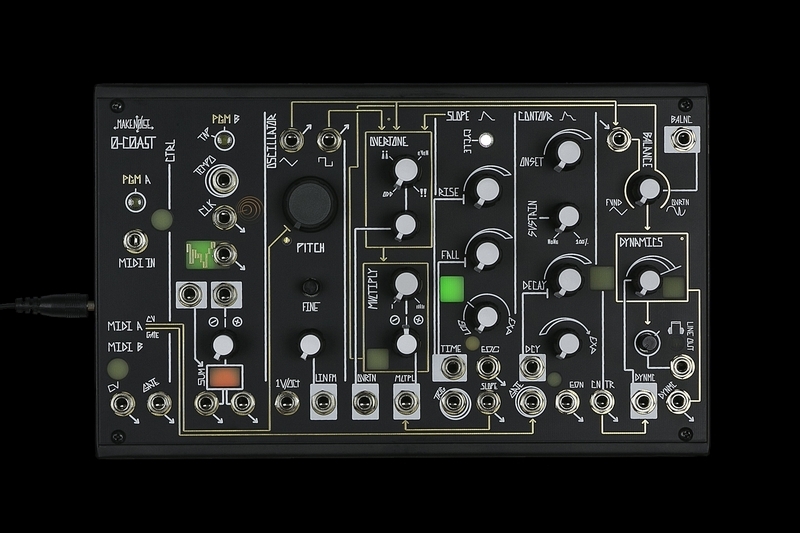 The Make Noise 0-COAST can process external audio input and contains an integrated headphone and Eurorack-level output section. 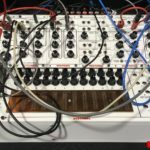 This is an amazing first step for those who are looking at creating more experimental modular music. The Behringer Neutron is a unique semi-modular synth based around the legendary 3340 analog oscillators which were famous in early Roland synthesizers. This is just about the most capable semi-modular synth on this list and it’s priced to suit anyone’s budget. 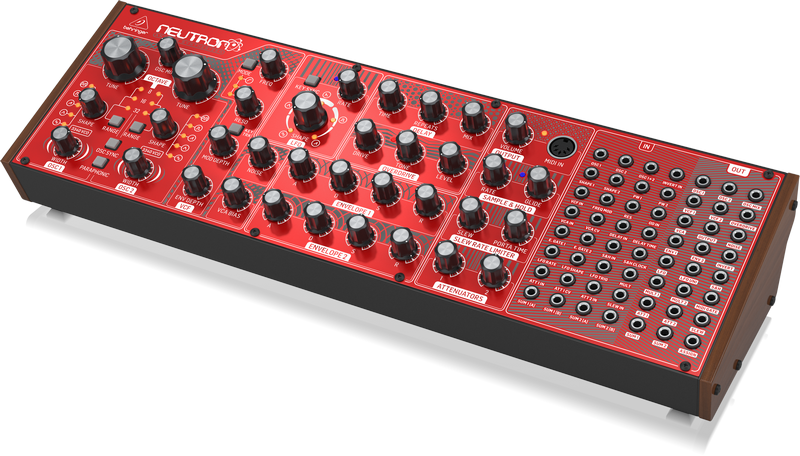 The Behringer Neutron has dual analog VCOs and a noise generator, multimode analog filter and a BBD-style delay. The Behringer Neutron can take external signals to process through the filter and effects, it features a Sample & Hold circuit for ejecting randomness into your patches. The Behringer Neutron features its own MIDI and VC/Gate I/O and 56 patch-points, making it a great standalone, first step and addition to a modular setup. Most of these choices stand-out in a particular aspect; they offer something completely different to the regular approach that DAWs and plugins generally offer. This will push you to try new techniques and the result will be unique to what you create on your existing setup, so even if you’re an ‘in-the-box’ producer, just remember that hardware synths can really add some new flavour to your music.